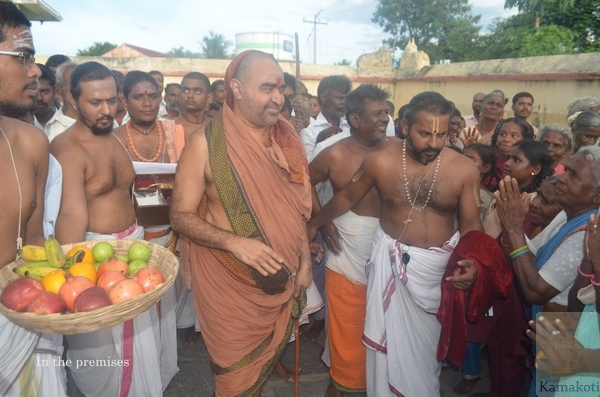 HH Pujyashri Shankara Vijayendra Saraswathi Shankaracharya Swamigal after completion of Trikala Puja visited three villages in and around Adayapalam. Leaving at 4.30 PM His Holiness first visited the Meyyur village. 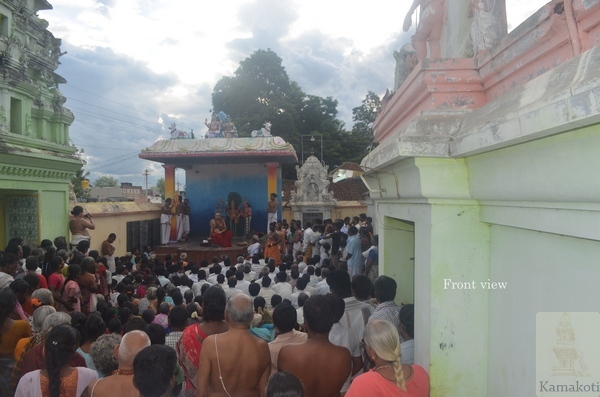 There are two main temples in the village. 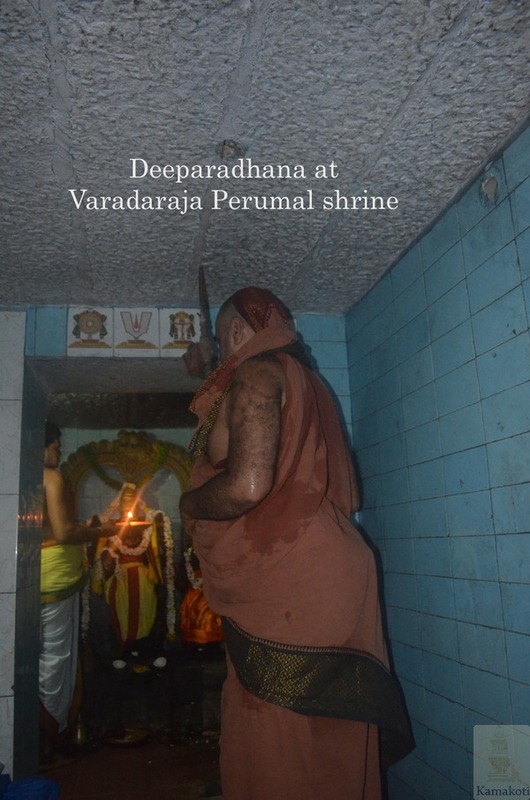 One Meikandeeshwar Shiva Temple and second Varadaraja Perumal Temple. 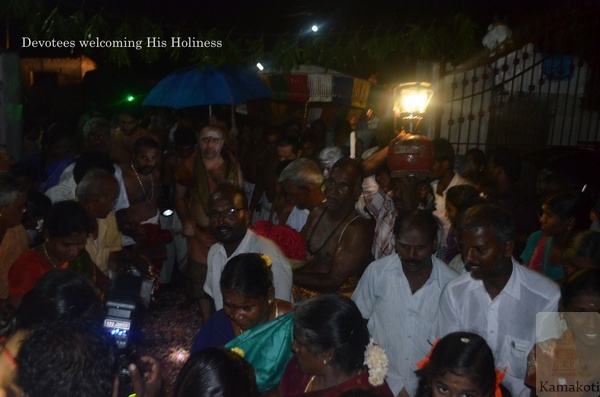 The villagers received His Holiness in the entrance of the village near the Amman temple. 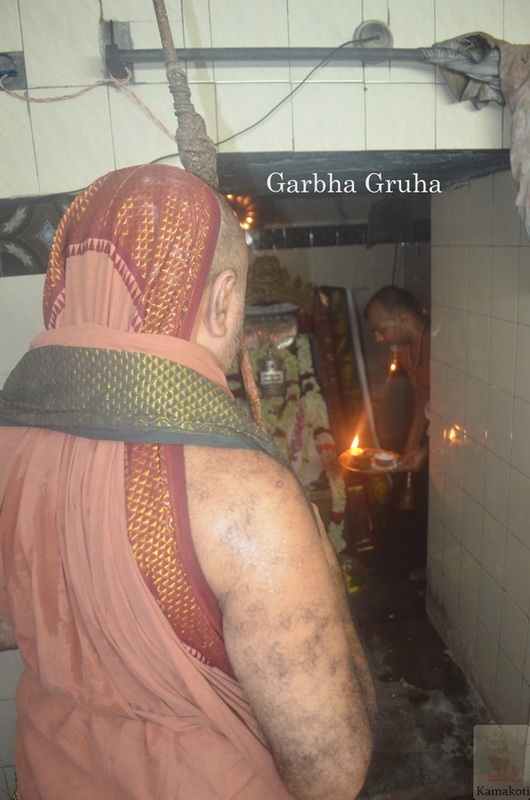 His Holiness visited Shiva Temple and delivered Anugraha Bhashanam. 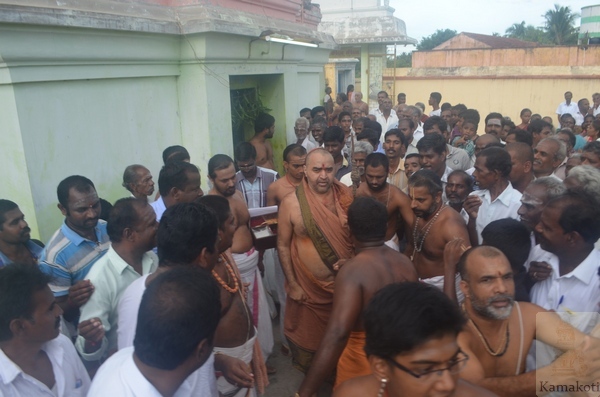 Later His Holiness walked through the village to the Perumal temple. 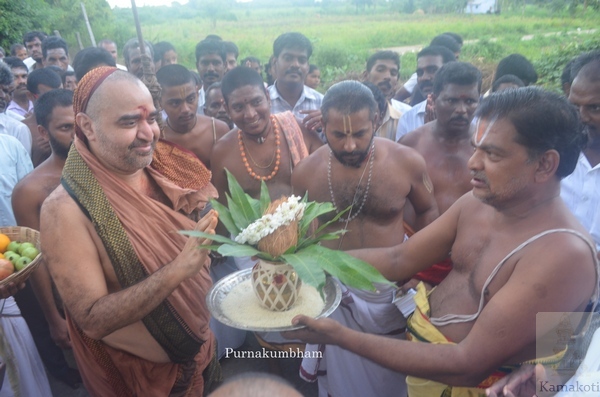 Special Harathi was performed. 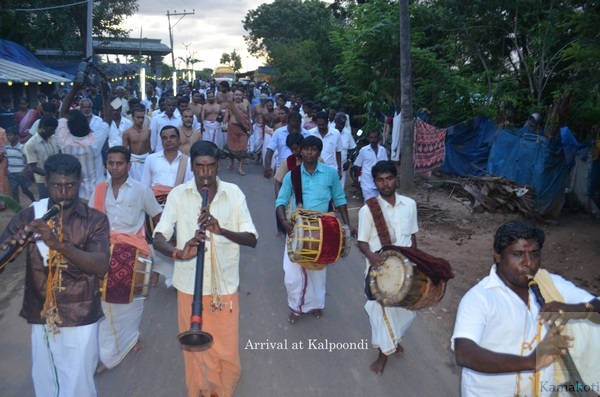 The village is just 2kms from Adayapalam. 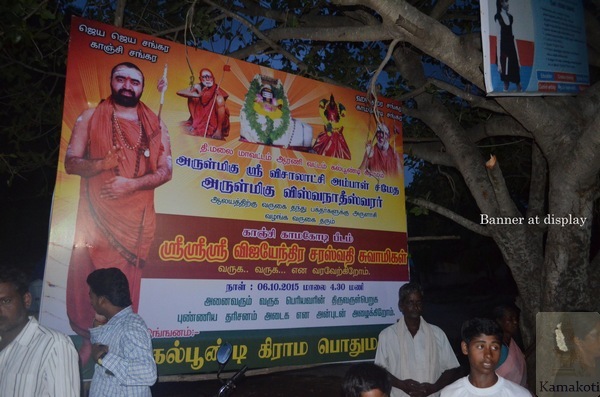 His Holiness then left to Kalpoondi village. 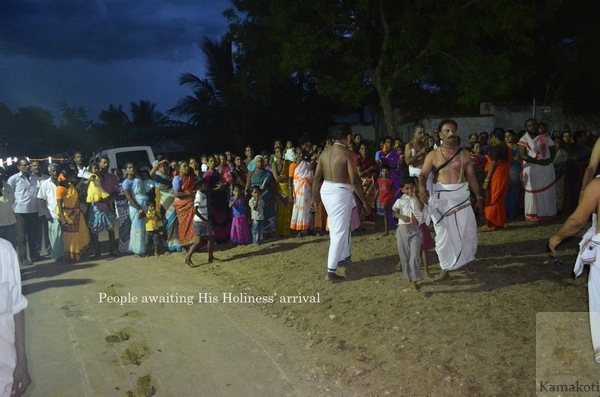 His Holiness was received at the village entrance near the Amman temple. 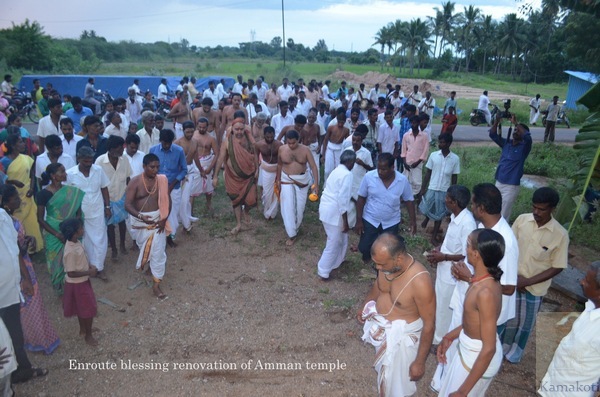 The Amman temple is undergoing renovation and the villagers requested blessings for speedy completion of the same. 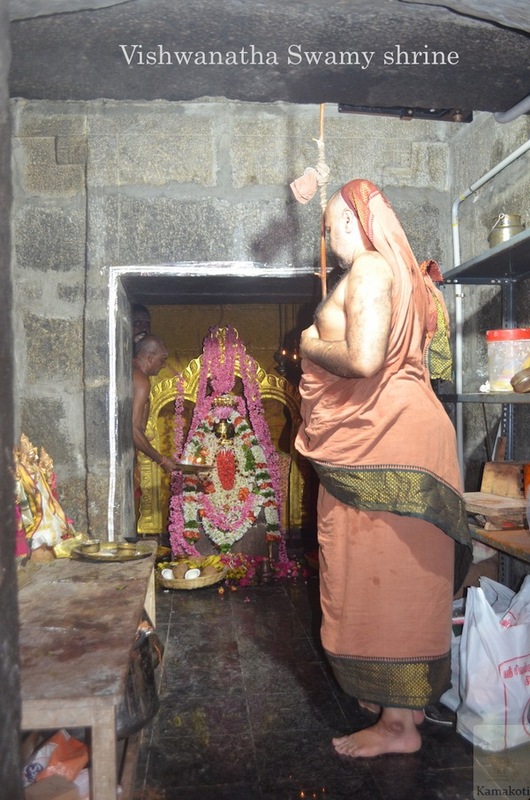 Harathi was performed at the small hut where the Amman Vigraha is in Balalayam. His Holiness then walked to the village. 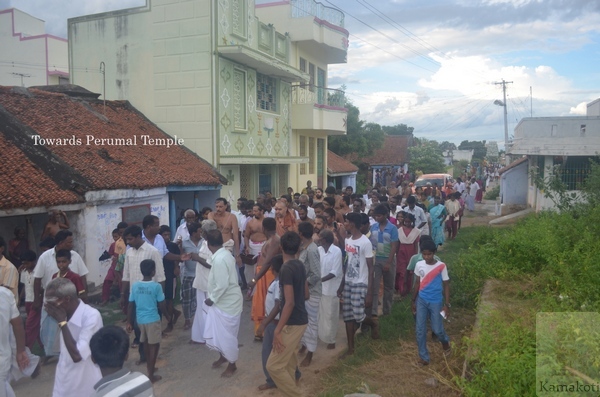 His Holiness was welcomed by the villagers with Purnakumbham. 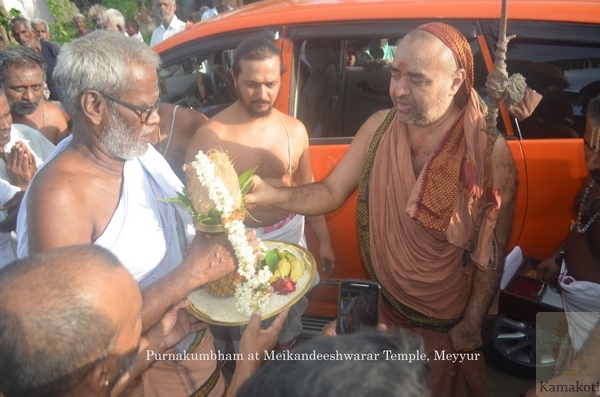 On His Holiness entering the temple there was heavy downpour of rain.His Holiness had darshan at the Vishalakshi Sametha Vishwantha Swamy temple. 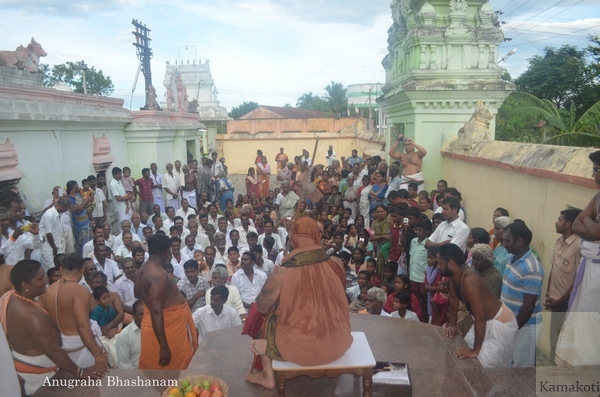 Swagatham was read out by the residents. 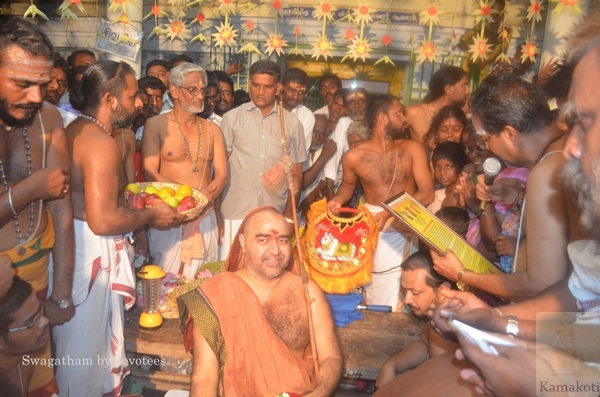 His Holiness blessed the gathering with Anugraha Bhashanam.This village is around 25 kms from Adayapalam. 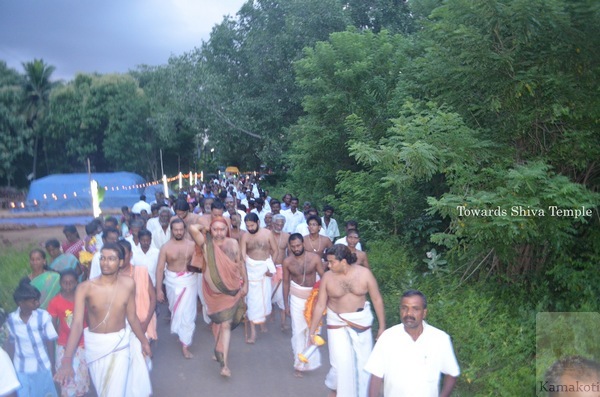 His Holiness then proceeded to the Melmattaivinnamangalam village. 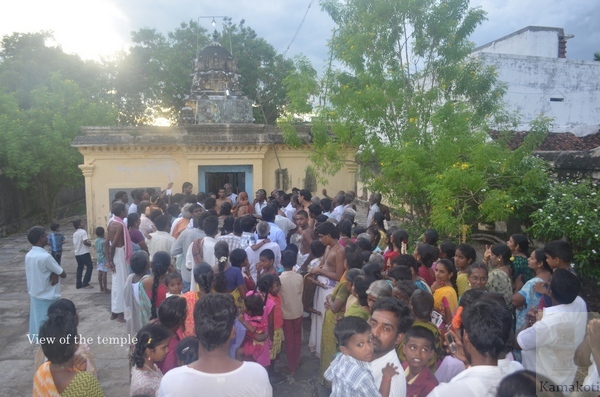 Due to rain, the villagers had gathered in front of the temple to welcome His Holiness. 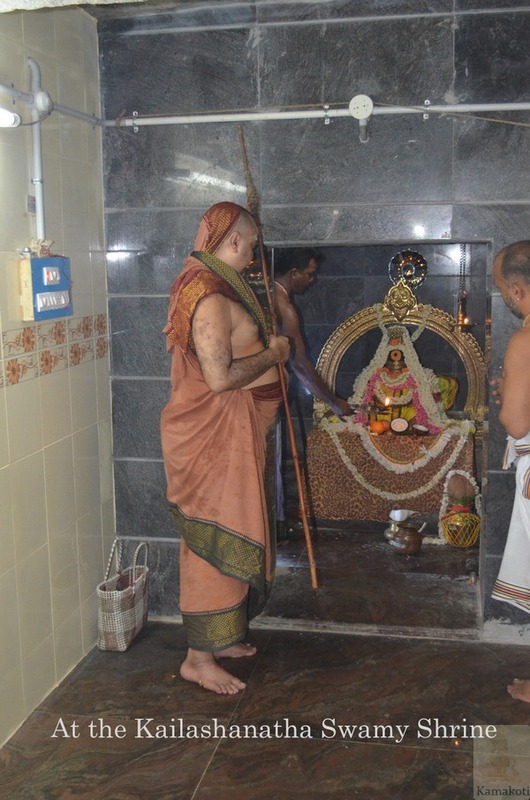 Special Harathi was performed at the Parvathavardhini Sametha Shri Kailashanatha Swamy Shrine. 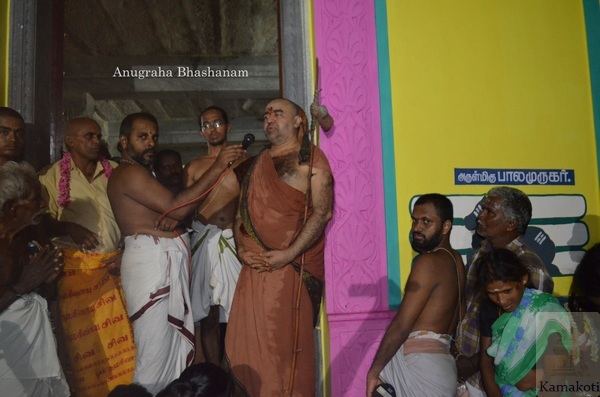 His Holiness gave Anugraha Bhashanam. 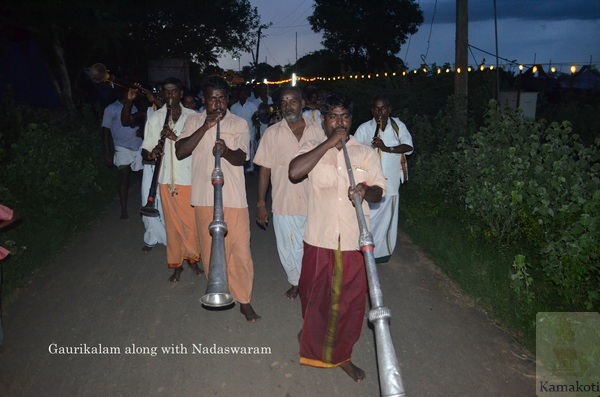 The village is around 25 Kms from Adayapalam. 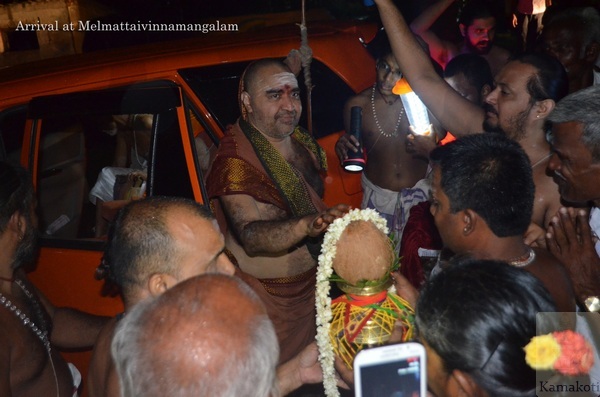 The entourage returned at 9 pm to Srimatam camp at Adayapalam.